Storage units can play a valuable role for baby-boomers looking to downsize, renters who need more space, and businesses looking for a safe place to keep documents. Renting a storage unit large enough to accommodate your needs is essential for a successful storage experience. Many people overlook the importance of properly packing a storage unit in order to maximize the use of available space within the unit. 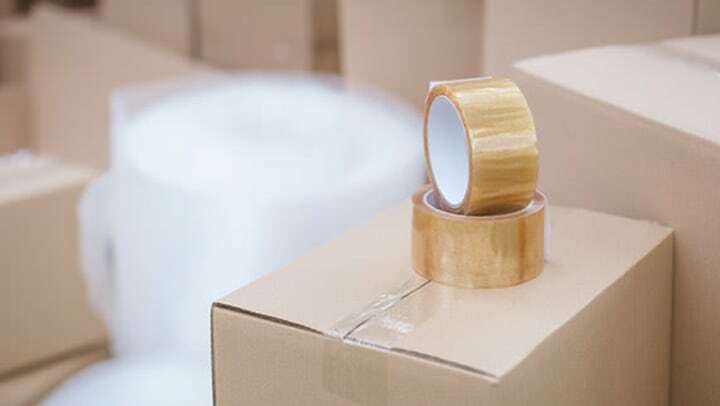 Proper packing techniques can help you save money by ensuring your items fit into a smaller storage unit and make your items more accessible in the future. Be proactive when packing your storage unit to maximize space and preserve the integrity of your stored belongings. When you plan to use your storage unit to house large furnishings, it can be helpful to break these items down so that they don't take up as much room. Remove the legs from your tables and chairs, disassemble bookcases, and leave the drawers inside of desks and bureaus. Taking the time to disassemble bulky furniture helps to reduce the footprint of these large items so that they don't monopolize valuable space within your storage unit. Larger pieces that can't be broken down (like dressers, refrigerators, or wardrobes) can be used to house boxes or loose items so that the space within these furnishings and appliances does not go to waste. The vertical space within many storage units can go to waste. With proper packing, you can utilize the vertical space within your storage unit to create more room for your belongings. For example, stand couches up on their side to free up valuable floor space. Place smaller items in boxes that are the same size to make stacking easier. Be sure that you place heavy items in boxes on the bottom of each stack, with the boxes getting lighter as the stack gets taller. This will prevent your belongings from being crushed under the weight of the boxes above. Portable shelving systems can help you maximize the use of your vertical space. These shelves will keep your boxes organized and accessible while preventing stacks from falling over or damaging valuable items. Anchor your shelving to the wall of your storage unit if you’re permitted to do so, as this will improve the stability of the shelves over time. It's essential that you label each box you put into storage. Utilizing clear plastic storage totes can be beneficial because it allows you to view the contents of each box without having to spend time opening and rummaging through each box. You should determine which items you will use most often, and place these items near the front of the storage unit to maximize accessibility. As you pack boxes and other items into your storage unit, take the time to create a grid system. If you leave aisles between stacks of boxes, then you’ll be able to access items at the rear of your storage unit easily. A grid system also allows you to group similar items together so that they can be located quickly within your storage unit. Draw a map of your grid system so that you can refer to the map when you need to take a specific item out of storage. A storage unit that is packed properly can be a valuable asset. Taking the time to disassemble any large items to make them more compact, stacking items to maximize the use of vertical space, and packing your storage unit strategically will help you get the most out of your storage unit in the future. Contact Cardinal Self Storage to rent a spacious and secure unit that will meet your storage needs.